New heat from 12-3 Recordings! Release the 1th of june! 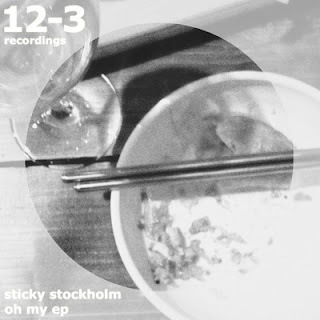 Essential house music, sweet memories from your youth and the crave for soul food, three things that nicely describes the Sticky Stockholm four piece EP Oh My: satisfying those dancing feet, making your soul tingle. Oh My is a classic dance floor track, a straight forward beat, the vocals to hook you and the on point synth making it the authoritative a-side of the release. Follows does the shelter track Elements, contemplative and bouncing, the Chicago salute Whats Up and the soothing deep track The Voice to finish things off. Four tracks to set the soundtrack for your summer from the 12-3 label manager!